Red Wine Chocolate Cake is a delicious and decadent dessert that everyone will love! 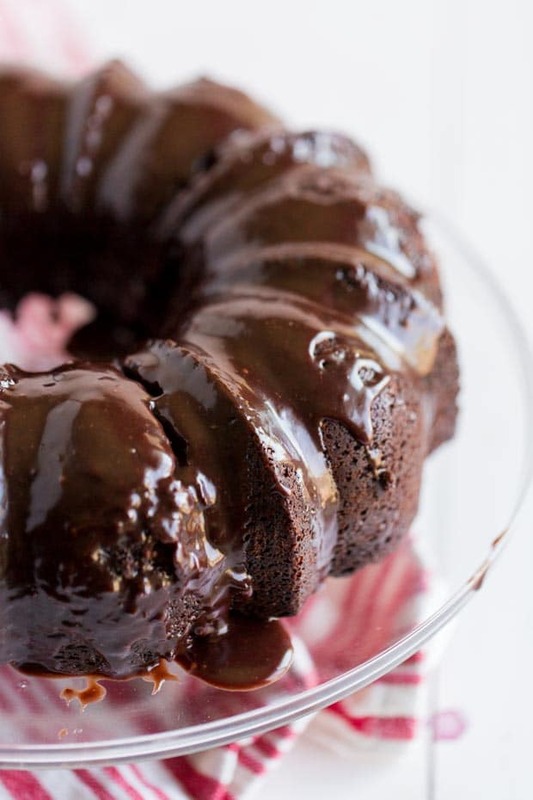 This incredible, moist, homemade red wine chocolate cake will leave you wanting more. It’s delicious, chocolate flavor is simple to bake from scratch and the red wine offers an extra layer of yum! You can choose your favorite Merlot or Cabernet to include! 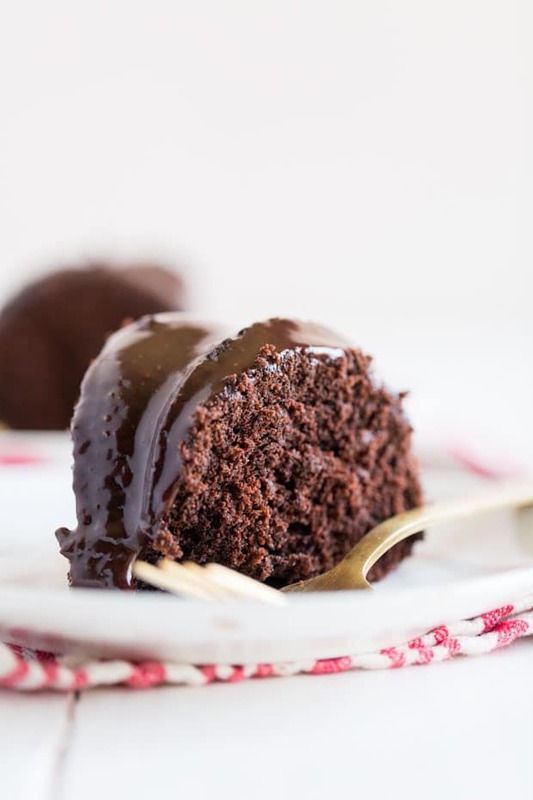 The glaze on top is the perfect complement to this already amazing chocolate cake recipe. It’s a great dessert to serve at special occasion or to bake just because you want a treat. If you’re looking for another great cake idea, make sure you check out our oatmeal cake. 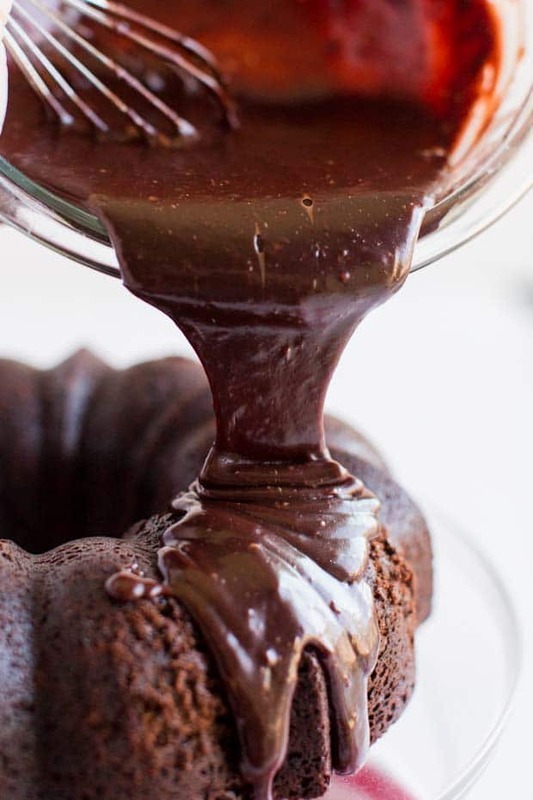 If you are a choco-holic, you should check out this chocolate zucchini cake recipe as well. It’s the best. We’ll talk about the chocolate wine cake in a moment — first, I need to brag about my mom for a minute. I’m proud to partner with Mirum and Dove to bring you my ideas! I recently celebrated my birthday and we were chatting. Let me add: she was in labor for me for several days before I finally made my grand entrance. So as we were chatting, I commented to her, “aren’t you glad to not be in labor today”? with a chuckle. She immediately responded, “I would do it every year again if the end result was you”. I knew I wanted to create a special gift basket for her. Something that she could enjoy regularly and take a moment to pamper herself with. The Dove products I compiled will do just that! 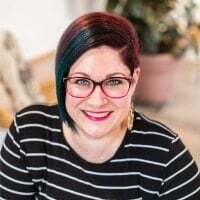 I included Dove Intensive Repair Shampoo and Conditioner as well as their famous Dove White Beauty Bar, Dove Exfoliating Body Polish and Dove Deep Moisture Body Wash. 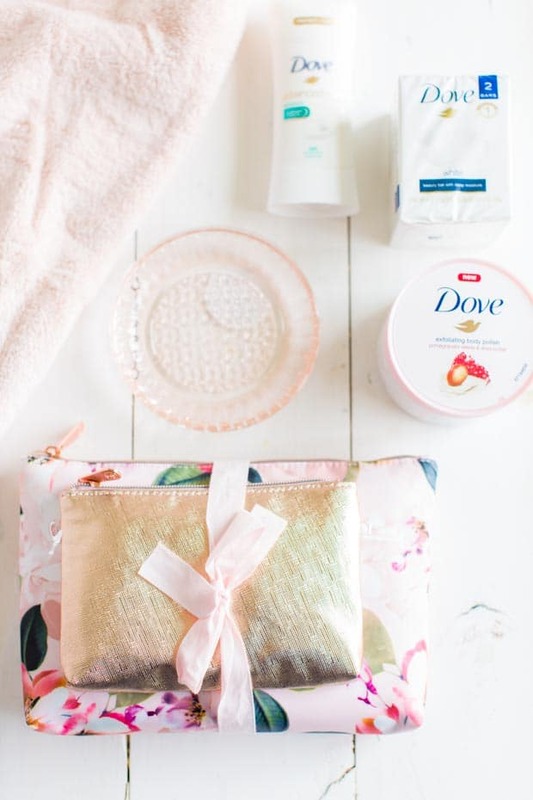 I also tucked in a pretty new hand towel, a floral bag, a soap dish and a fluffy new loofah. I arranged everything in a cute wire basket which I know she’ll be able to use and enjoy as well. And can I tell you… this gift basket smells divine. I decided to also create an amazing chocolate red wine cake for her to enjoy. If there is one weakness my mama has it’s chocolate. She adores anything chocolate. And really… I think this recipe is just an efficient treat. Wine and chocolate cake combined? Brilliant. I’m excited to share this red wine cake recipe with you today — I know you’ll enjoy it! I’ve made cakes with coffee before… like this mocha poke cake… but I hadn’t tried a chocolate cake with red wine recipe before. I’m glad I did — it turned out delicious!! If your mom doesn’t like chocolate, make this carrot cake recipe or this lemon icebox cake — both classics. For the glaze you’ll need chocolate chips, butter, powdered sugar and red wine. 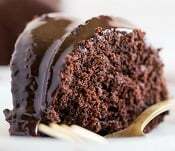 This might become one of my go to chocolate cake recipes because it’s so delicious and easy to bake. I think you’ll agree. In a stand mixer, cream together butter, vanilla and sugars. Add eggs one at a time and mix until creamy. In a separate bowl, mix together dry ingredients. Slowly add to the wet ingredients. 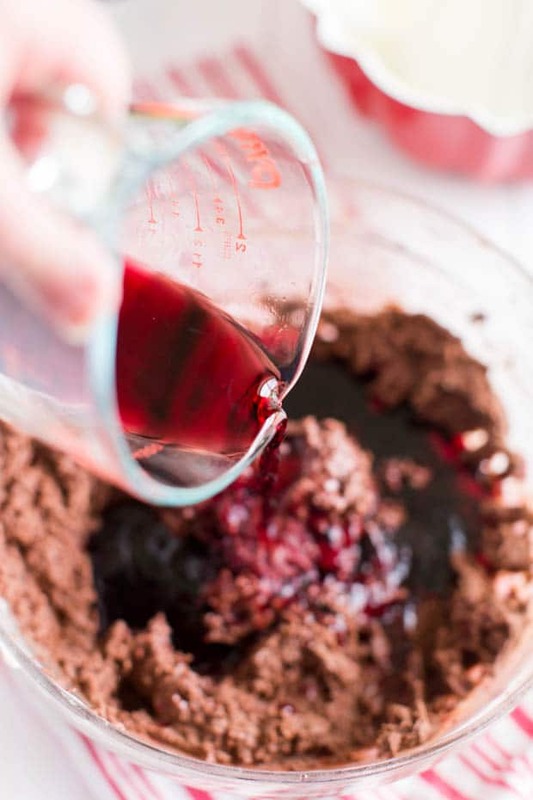 Pour in red wine and mix until smooth. Then, pour batter in a Bundt pan and bake at 350 degrees for 40-45 minutes. To make the glaze, start by melting butter and chocolate chips in a microwave safe bowl. Whisk in powdered sugar and red wine. Pour over the top of the cake and serve. 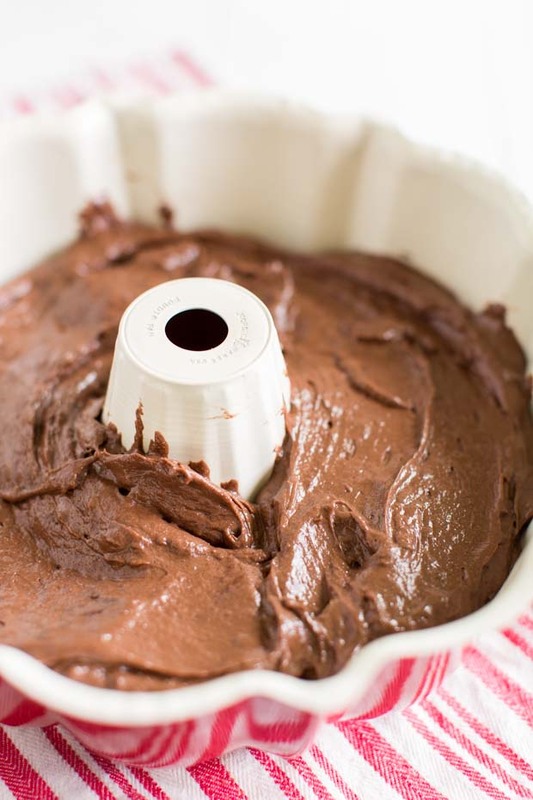 I love how simple this delicious wine cake is to bake. The batter comes together in no time and it plates beautifully. The icing really seals the deal — it’s delicious! It’s perfect treat to serve mama to remind her how special she is, along with a pampering gift basket. I hope you’ll enjoy this red wine cake recipe soon. Chocolate Chip Cookie Cup Recipe – No Fail! Plus, try homemade mulled wine! This Red Wine Chocolate Cake is a delicious and decadent dessert that you'll love! 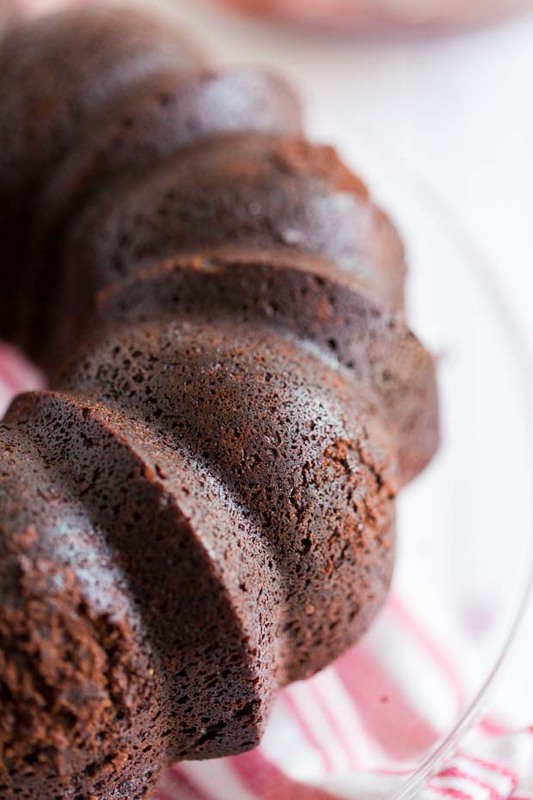 Pour batter in a Bundt pant and bake at 350 for 40-45 minutes. Melt butter and chocolate chips in a microwave safe bowl. Whisk in powdered sugar and red wine. Pour over the top of the cake and serve. awww.. red wine + cake = wow!! Sounds delicious- maybe cut down on sugar to 3/4 cup each. Going to make! Am going to make this cake! It sounds very delicious! 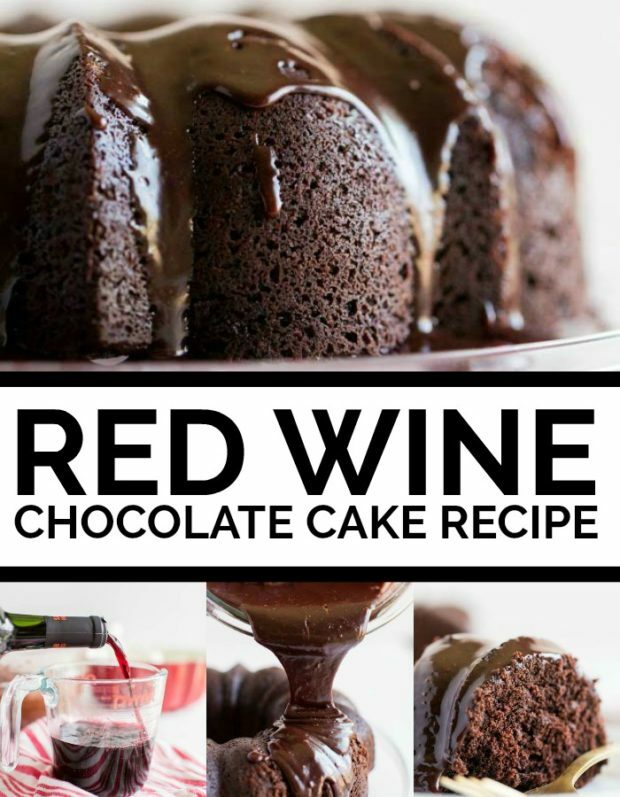 The addition of red wine is different and should add a different twist to basic chocolate cake! What does adding red wine do for the cake? Adds another delicious layer of flavor. We hope you enjoy it! Hi Layne. Can you make the cake the day before and then make and add the glaze just before serving? Thanks!